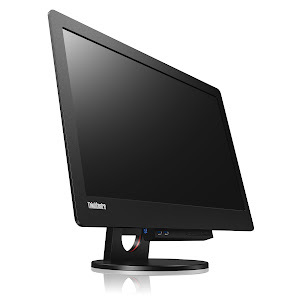 The ThinkCentre Tiny-in-One (TIO) 23 is a modular all-in-one (AIO) desktop offering unsurpassed versatility with clean cabling and effortless setup for public and private enterprises. Current ThinkCentre Tiny PCs (M93p, M83, M73, M53) slot seamlessly into the back of the TIO monitor, allowing IT managers to refresh the CPU and monitor separately without having to replace the entire system. The unique modular solution offers impressive configurability for users to customize the ideal AIO solution for business use.